Yip and Gersh: A Celebration of Two Brilliant American Lyricists – E.Y. “Yip” Harburg and Ira Gershwin. 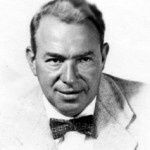 Over 20 songs with lyrics by Harburg and Gershwin are performed in this tribute held at City College of New York on June 14, 2003. Conceived by Deena Rosenberg. Directed by Michael Montel. Singers: Judy Blazer, Stephen Bogardus, Sherry Boone, Gregg Edelman, Catherine Russell. Musical Director and Pianist: David Brunetti. This recording is not a commercial product and is available only from The Yip Harburg Foundation.